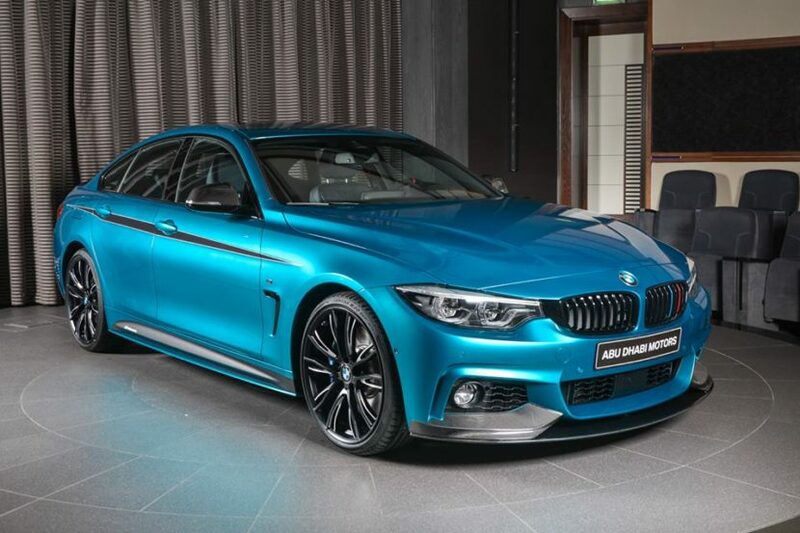 When the facelifted BMW 4 Series range was unveiled, the Germans decided to offer this stylish four-door coupe in a couple of more outlandish color choices. The one that attracted the most attention was, without doubt, Snapper Rocks Blue, a color that can’t be overlooked when spotted on the street. The car we’re looking at here, a BMW 440i Gran Coupe is also wearing a couple of M Performance bits. The 440i Gran Coupe is, just like its 340i brother, a wolf in sheep’s clothes. The 3-liter B58 engine under the hood makes 320 HP and 450 Nm (332 lb-ft) of torque in standard guise and allows the car to accelerate to 100 km/h (62 mph) in just 5.1 seconds. While that looks impressive at first, it can get even better with the M Performance Power kit that BMW has on offer for select vehicles, the 440i included in all guises, Coupe, Convertible or Gran Coupe. The kit brings the power output up to 355 HP and 369 lb-ft (500 Nm) of torque, through some ECU tuning along with a new intake and exhaust. 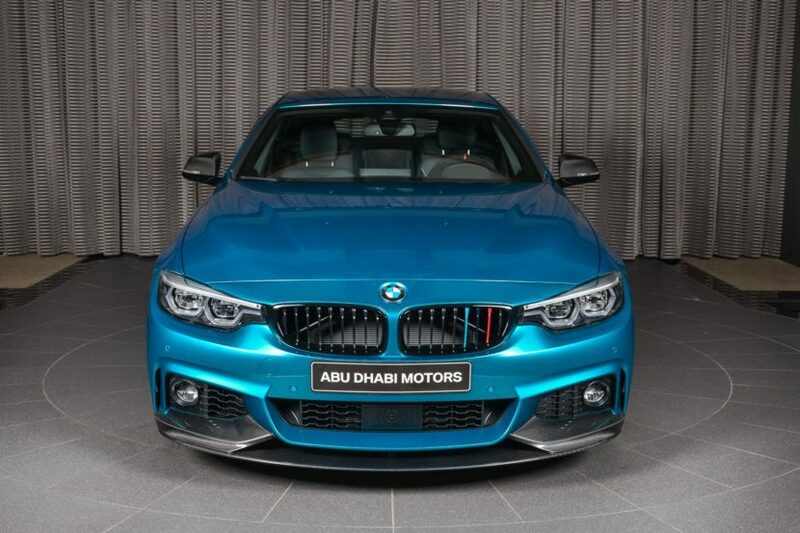 The car we’re looking at here might have it installed, even though the people over at BMW Abu Dhabi didn’t say a word about a possible M PPK being installed. Instead, the visual and aerodynamic add-ons can be easily recognized here. Up front there’s an M Performance grille set installed in gloss black along with a carbon fiber air splitter at the bottom of the M Sport bumper. On the sides you’ll notice the M Performance bi-color 21″ wheels along with the M Performance decals and side sills. Of course, the carbon fiber mirror covers are also easily noticeable while the boot is now sporting a carbon fiber spoiler. The rear bumper is now fitted with a carbon fiber diffuser which encompasses the Akrapovic exhaust tips done in the same finish. Quite a spectacular combo!